Finding your soulmate and getting married to them is a dream come true for many romantic souls. However, planning a lovely wedding can be a taxing affair. Wedding planners are here to the rescue. They help plan weddings and ensure that everything goes according to plan on D-day. If you enjoy planning life altering events for couples in love with the resources at hand, wedding planning might be the right job for you! The wedding planning field is quite dynamic and unpredictable which makes it all the more fun to work in. You need to be on your toes and be ready to address any crisis that might pop up at any minute. The initial meeting between the planner and the client gives the client a chance to talk about their expectation for the wedding. The client can be anyone from the wedding party. However the wedding planner needs to figure out who the real decision maker is, and often it is the bride. The first conversation entails discussions about the different packages offered by the wedding planners in Chennai and what each package includes. The wedding day will have a lot of activities happening simultaneously, making it difficult for brides to keep an eye on everything besides getting ready for the biggest day of their lives. 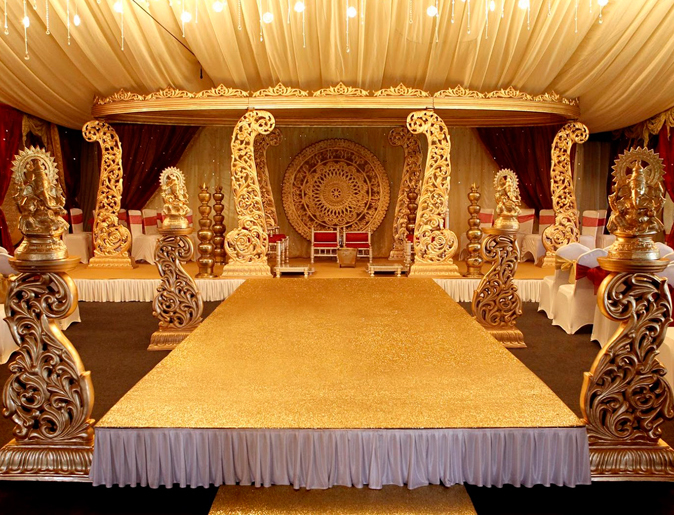 Wedding planners help to coordinate all the details and ensures that everything runs without a hitch. A savvy wedding planner will be able to make sure that the event runs smoothly and remains etched in everyone’s memories for a long time to come. Finding the venue that matches the bride and groom’s concept for their wedding can be an easy affair after the initial conversation. Once you, as the wedding planner get an idea of the wedding they have in mind, you can help them narrow down the venue. Some venues can be adapted to conform to a particular wedding theme. However, if the clients are considering an outdoor wedding, they will have to take into account the weather as well on the D-day. Organising a wedding entails dealing with plenty of vendors starting from the caterers, to the photographers, the venue staff, the serving staff, the band, the florists and so on. This can get a bit hectic unless experienced wedding planners are on hand to help out. Each vendor will have different delivery times, payment schedules and so on. The wedding planner helps take away stress from the bride in making decisions about all these details. Organising a wedding includes taking care of all the pre-wedding details as well. Most of the time there are several dress fitting trials, salon sessions, that the bride needs to make it in time in order to look her best on the wedding day. Event management companies in Chennai can help organise these appointments so that they do not clash with the client’s job and other commitments.